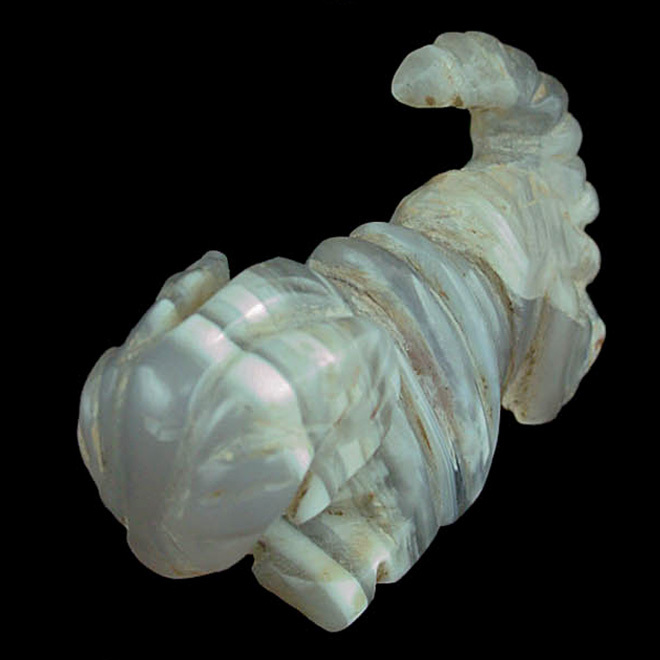 A superb Western Asiatic banded agate figurine of a recumbent ram. 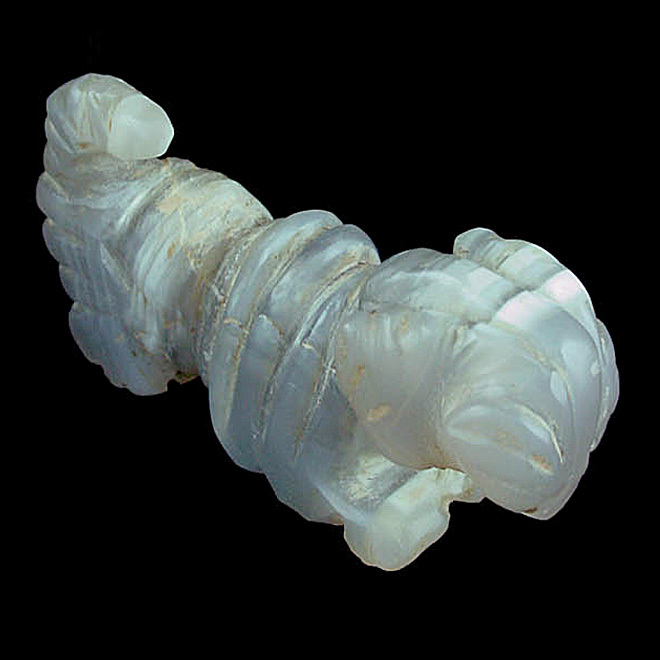 A superb Western Asiatic banded agate figurine of a recumbent ram, the carved details following the natural banding of the stone. 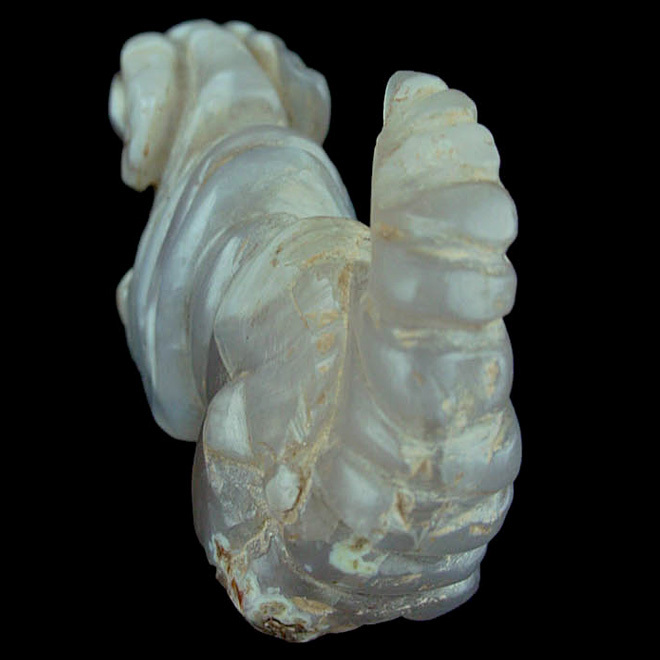 Intact, with excellent patina within the recessed sections and on the left hind portion of the figure.